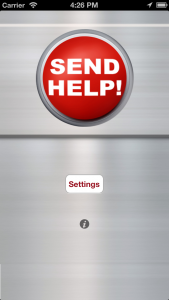 We’ve made some updates to our Send Help app to support iOS 6 and the new iPhone 5! Download it now in the iTunes Store! Directions un-clear for importing numbers from phone book for SMS. When you touch “Add”, it takes you to your addy. book just fine – but what do you do THEN? If you enter the phone numbers MANUALLY, are you supposed to put in the hyphens (704-575-3151) or NOT (7045753151) AND do you need to use a “1” in front of the number – or NOT? I’d like to know if it would be possible to add an “erase’ function to the “Send Help!” app. 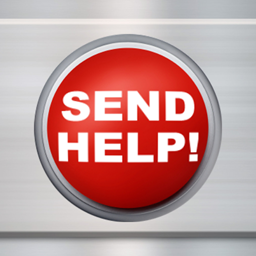 IOW, if one really were to set off the “Send Help!” signal, could the app be made to delete/erase ALL of the entries that were input by the user AFTER the signal has been sent to the (7) RECIPIENTS? Thus making it – if not impossible – at least DIFFICULT for anyone to retrieve who the alerts got sent TO? We’ve been considering this addition for quite some time, but are still debating the moral/legal implications of such a feature. However, it MAY be added in a future release later this summer. Thank you, sir. I appreciate the response and definitely the possible addition of this feature.